The Siamese crocodile is the most endangered species of crocodile in the world due to habitat destruction and hunting— there are only about 250 Siamese crocodiles in the wild. 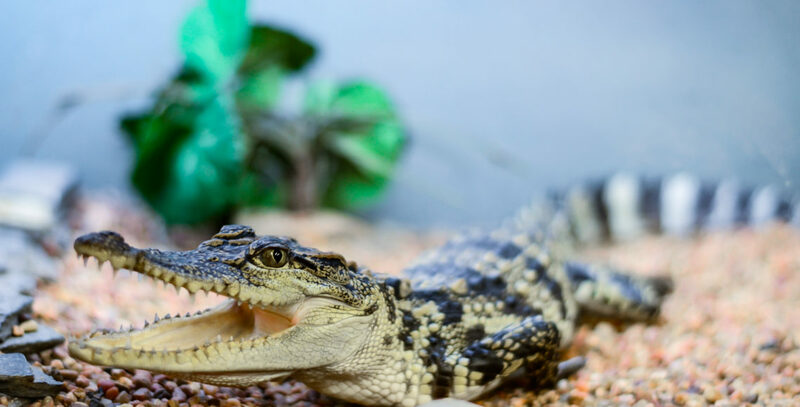 This small, fresh-water crocodilian is native to most of Southeast Asia, including Indonesia, Malaysia, Cambodia, Thailand, Vietnam, and Laos. Their diet includes fish, snakes, crabs, insects, birds, and small mammals. Siamese crocodiles are hybridized with saltwater crocodiles in crocodile farms, because the hybrids are preferred by the skin trade for the quality of their skins and their superior growth rates. This is very problematic considering that the Siamese crocodile is highly endangered in the wild and that occasionally animals from crocodile farms are used for reintroductions.